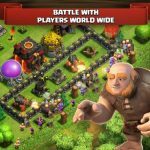 If you’re ready for more Clash of Clans strategies, then you’ve come to the right place, especially if you’re fairly new to Supercell’s best-selling MMO strategy game. The game, as we may have told you before, contains a lot of city-building and role-playing elements, but at the end of the day, is mainly an interactive title that pits you against thousands of other players from various parts of the world. 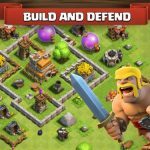 And if you’re looking to get the edge against all these players while making sure your base can hold on, we suggest checking out our Clash of Clans strategy guide, now focusing on the different types of army buildings. There are a few types of altars in Clash of Clans you can build, including the Archer Queen and Barbarian Altars. For the former, you need to pay 40,000 bits of Dark Elixir, and make sure you have a builder ready to construct it. Tap on the Archer Queen to check her attack range, and place her next to the Barbarian King. And moving on to his altar, that’s going to cost 10,000 bits of Dark Elixir and also require that a builder be ready to construct it for you. The Army Camp building can be fully leveled up once it reaches Level 8. This building is where your soldiers stay after they undergo training, and when setting these up, you should devote a sizable amount of space. Army Camps take up a lot of land, after all. Also, you should try to place the camps near defensive structures, and upgrade the low-level ones before those at a higher level. Where do your troops go to train? Of course, that would be in the Barracks, which can be upgraded up to Level 10. And with each upgrade, you get access to new types of units. 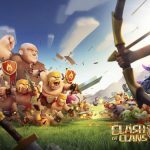 When training your troops, you should ensure they have enough Elixir ready, and also use some Gems if you need to, so as to expedite their training. Barracks should ideally be placed near your Army Camps. Dark Barracks can be leveled up to Level 6, and they’re similar to the standard Barracks except for the fact that this is where you train Dark Elixir troops. Placement and upgrade rules for Barracks also apply here, which means they’d be best built next to or near your Barracks and Army Camps. Laboratories can be upgraded up to Level 8, and should be placed near your Spell Factories; in here, you can use Elixir or Dark Elixir to permanently upgrade Troops and Spells alike. Troops go train at the Barracks, but Wizards, on the other hand, train at the Spell Factory. You can level this structure up to Level 5, and Wizards can be trained for Healing, Freeze, Jump, Lightning, and Rage. If a Spell Factory gets shot down by an enemy, don’t hit the panic button right away – whatever magic attacks hit would get assigned to your Wizards.